TOOTH GERM: Avanti Aesthetics Academy: One Awesome Raffle Prize! Avanti Aesthetics Academy: One Awesome Raffle Prize! I had heard lots about the Avanti Course before I won this place and all feedback was positive. One of my close friends had recently been on the course and she stayed with me for the weekend of the course and it seemed like a very intense few days. I was also familiar with other courses available by other providers which had varying training programmes. One of the reasons why I hadn't already pursued one of these aesthetics courses before was confusion about what I wanted to get out of an aesthetics course, especially since a lot of my day to day dental practice is limited to purely NHS work. Previously, I had provided Botulinum Toxin injections in a oral surgery NHS department treating myofacial TMJD and Frey's syndrome and I mostly just observed and assisted in the procedure as a junior and therefore my perception of using toxin was a little scary as we were often injecting very deep in tissues (e.g. into the body of the masseter). 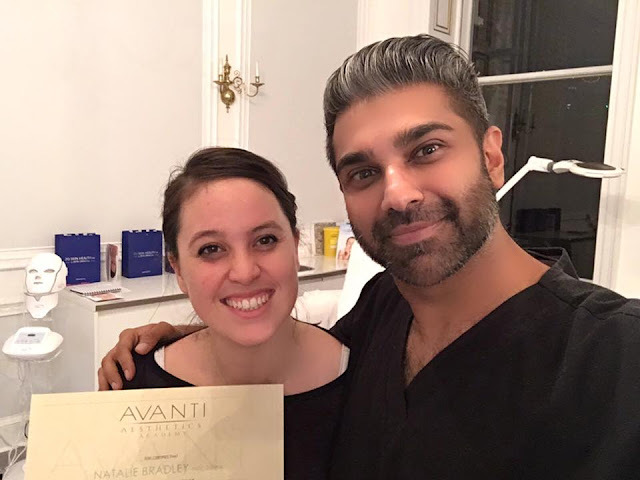 Who are Avanti Aesthetics Academy? Practising injecting each other N.B. with saline, not actual toxin! I won the first day of the course which was Upper Face Botulinum Toxin. The morning was spent learning about the theory of Botulinum Toxin, mechanism of action and important anatomy. Botox is a term which the majority of people use is a brand name for the protein Botulinum Toxin. Rikin recommends using the UK leader in the field Azzalure. We then learn about the practical application of toxin in the upper face, indications as well as cautions e.g. 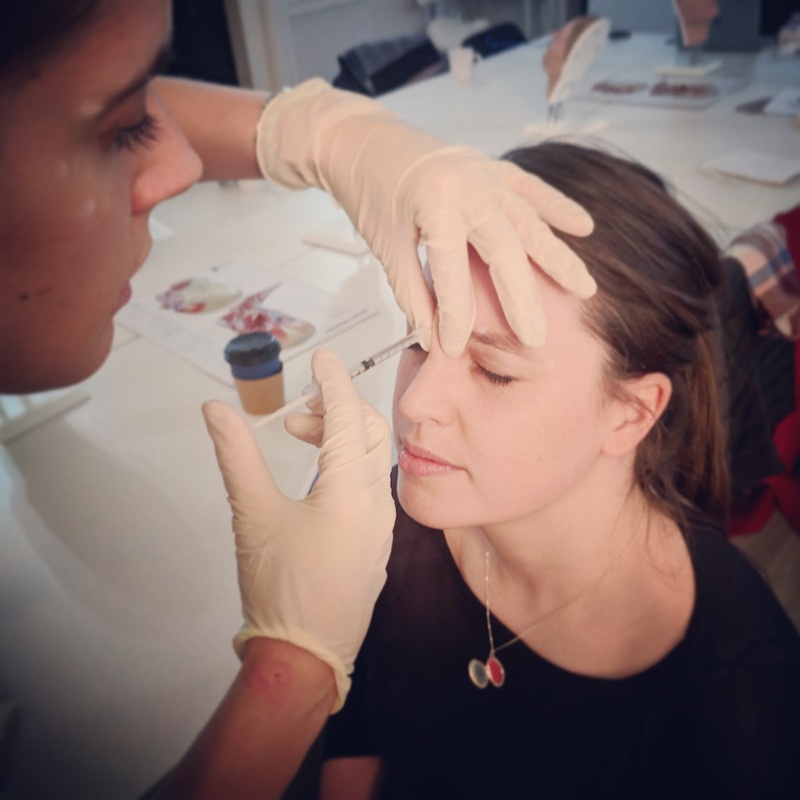 heavy eyebrows or compensation from the frontalis and after a quick bite to eat the exciting part of the day: injecting real life models! Each delegate had their own model to inject. Some of these models were regulars to the academy and knew exactly what they wanted down to the exact dose! Others it was their first treatment with toxin. My model was the only male of the group and it was his first treatment. I really enjoyed the practical element. Once you got over the initial trepidation of injecting extra-orally for a change, by the time you got round to the last dose it came naturally. It was useful to observe the analysis for each of the other delegates models also so you could analyse each individual to their specific injections sites and doses. We also had a practise on each other (injecting only saline!) so we knew what it felt like. I was expecting it to have a similar feeling to local anaesthetic injection, but it was nothing in comparison! The day was an intense learning experience as I had anticipated but not only did I learn lots of clinical and theoretical skills, Rikin also taught us the business opportunities surrounding facial aesthetics. This was something that I found particularly useful as most of my clinical work wouldn't allow for me to offer any of the skills I had just learnt; however, facial aesthetics can open up a flexible and fulfilling business alongside your day to day profession. With the use of clever marketing including social media, I have already seen some clinicians thrive with this style of working and it would be interesting to pursue this approach myself. Many thanks to Rikin and the Avanti Aesthetics team for a fantastic day! I would definitely recommend the course to anyone who wants to explore other options in dentistry. And for anyone who wants to sign up to the Fundamental Five Course if you quote my name and code AAA100NB then you will receive £100 off the total cost of the course! 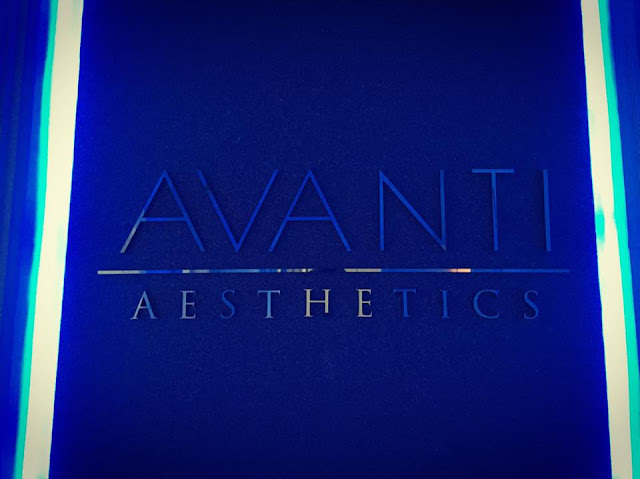 Have you been on any Avanti Aesthetics courses? What did you think? Let me know in the comments below. The Salaried Dental Services: What do they do?